Mansfield Marketing gives small and medium sized businesses the power of their own marketing department at a lower cost and with greater effectiveness. The Houston Better Business Bureau recently held its annual awards ceremony to acknowledge local businesses meeting their high standards. 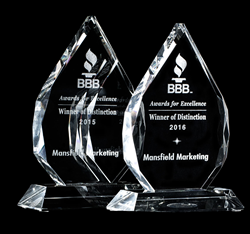 The Houston marketing agency Mansfield Marketing is now a 2016 Better Business Bureau Winner of Distinction. Houston marketing agency Mansfield Marketing creates and executes marketing plans for competitive businesses. They determine the best plan to quickly drive revenue to clients. This plan may include customized training. Sometimes, small businesses simply aren’t ready to hire an agency, or they have their own employee(s) managing the company website and advertising. Mansfield Marketing helps take these businesses to new heights, giving them the tailored professional training they need to master their own website and online advertising. Marketing training is typically conducted by Mansfield Marketing founder Doug Mansfield. One-on-one professional training at the downtown Houston Mansfield Marketing office is offered as well as group workshops available through the University of Houston Bauer College SBDC. Necessary marketing plans are implemented by Mansfield Marketing’s highly technical, sales-oriented, and creatively-driven team. The emphasis on clients’ needs is what really separates the work performed by Mansfield Marketing from other Houston-area marketing companies. Mansfield Marketing provides efficient, thorough, effective, up-to-date, and winning search engine optimization, fresh content, social media marketing, advertising, and marketing instruction, however needed. There is a marketing solution that’s fit for each and every company, and Mansfield Marketing works to effectively find the best-fitting solutions. 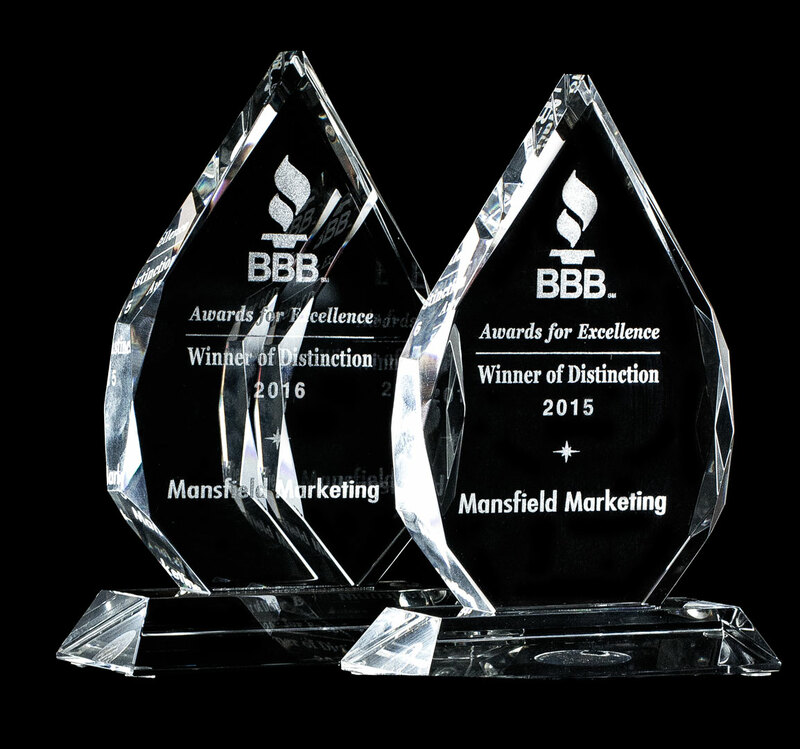 A continuing accredited member of the Houston Better Business Bureau, Mansfield Marketing strives towards adding another award to their collection in 2017.